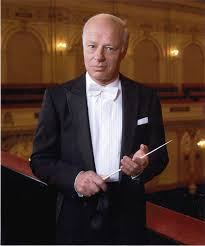 Went to the Barbican last Sunday to see and hear the great conductor Bernard Haitink giving his 90th Birthday concert. Till Felner played Mozart's Piano Concerto 22, and in Part 2 the Symphony was Bruckner's 4th. London Symphony Orchestra were superb under Haitink's mature and noble direction.